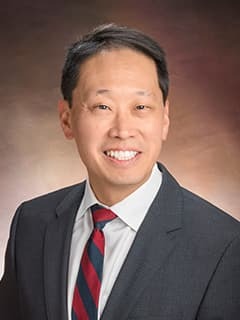 Raymond Wang Sze, MD, MAMS, is the Associate Radiologist-in-Chief & the Kenneth E. Fellows Endowed Chair in Radiology Quality & Safety in the Department of Radiology at Children's Hospital of Philadelphia. Monfaredi R, Iordachita I, Wilson E, Sze R, Sharma K, Krieger A, Fricke S, Cleary K. Development of a Shoulder-Mounted Robot for MRI-Guided Needle Placement: Phantom Study. Int J Comput Assist Radiol Surg. 2018 Nov;13(11):1829-1841. doi: 10.1007/s11548-018-1839-y. Epub 2018 Aug 11. Sze RW, Teshima S, Hogan L, Davidson S (2018 Oct). Radiology Design Project Primer. Journal of the American College of Radiology, 15(10): 1493-1499. Doi: 10.1016/j.jacr.2017.11.014. PMID: 29275083. Electronically published: 2017 Dec 21. Kale SS, Burga RA, Sweeney EE, Zun Z, Sze RW, Tuesca A, Subramony A, Fernandes R: Composite iron oxide-Prussian blue nanoparticles for magnetically-guided T1 imaging and photothermal therapy. Int J Nanomedicine. 2017 Sep 5;12:6413-6424. doi: 10.2147/IJN.S144515. eCollection 2017. Cerrolaza JJ, Peng JQ, Safdar N, Conkoin L, Sze R, Linguraru MG: Quantification, Validation, and Follow-up of Small Bowel Motility in Crohn's Disease. SPIE Medical Imaging Page: 1-6, 2015. Monfaredi R, Wilson E, Sze R, Sharma K, Azizi B, Iordachita I, Cleary K: Shoulder-Mounted Robot for MRI-guided arthrography: Accuracy and mounting study. Conference Proceedings Institute of Electrical and Electronics Engineers Engineering in Medicine and Biology Society Page: 3643-6, Aug 2015. Vojtech JM, Cano-Mejia J, Dumont MF, Sze RW, Fernandes R: Biofunctionalized Prussian blue nanoparticles for multimodal molecular imaging applications. Journal of Visualized Experiments 28(98): e52621, Apr 2015. Zhao Q, Okada K, Rosenbaum K, Kehoe L, Zand DJ, Sze R, Summar M,Linguraru MG: Digital facial dysmorphology for genetic screening: Hierarchical constrainted local model using ICA. Medical Image Analysis 18: 699-710, 2014. Heier CR, Guerron AD, Korotcov A, Lin S, Gordish-Dressman H, Fricke S, SzeRW, Hoffman EP, Wang P, Nagaraju K: Non-invasive MRI and spectroscopy of mdx mice reveal temporal changes in dystrophic muscle imaging and in energy deficits. PLoS One 11: e112477, 2014. Monfaredi R, Seifabadi R, Iordachita I, Sze R, Safdar NM, Sharma K, FrickeS, Krieger A, Cleary K: A Prototype Body-Mounted MRI-Compatible Robot for Needle Guidance in Shoulder Arthrography. Proceedings of Institute of Electrical and Electronics Engineers RAS EMBS International Conference on Biomedical Robotics and Biomechatronics Page: 40-45, Aug 2014. Dumont MF, Yadavilli S, Sze RW, Nazarian J, Fernandes R: Manganese-containing Prussian blue nanoparticles for imaging of pediatric brain tumors. International Journal of Nanomedicine 9(1): 2581-95, May 2014. Dumont MF, Hoffman HA, Yoon PR, Conklin LS, Saha SR, Paglione J, SzeRW, Fernandes R: Biofunctionalized gadolinium-containing Prussian blue nanoparticles as multimodal molecular imaging agents. Bioconjugate Chemistry 25(1): 129-37, Jan 2014. Zhao Q, Rosenbaum K, Zand DJ, Sze R, Summar M, Linguraru MG: Automated Down syndrome detection using facial photographs. Conference Proceedings Institute of Electrical and Electronics Engineers Engineering in Medicine and Biology Society Page: 3670-3, 2013. Zhao Q, Okada K, Rosenbaum K, Zand DJ, Sze R, Summar M, Linguraru MG: Hieararchical constrained local model using ICA and its application to Down syndrome detection. Medical Image Computing and Computer-Assisted Intervention 16: 222-9, 2013. Kaplowitz P, Srinivasan S, He J, McCarter R, Hayeri MR, Sze R: Comparisonof bone age readings by pediatric endocrinologists and pediatric radiologists using two bone age atlases. Pediatric Radiology 41: 690-3, 2011. Sun C, Veiseh O, Gunn J, Fang C, Hansen S, Lee D, Sze RW, EllenbogenRG, Olson J, Zhang M: In vivo MRI detection of gliomas by chlorotoxin- conjugated superparamagnetic nanoprobes. Small 4: 372-379, 2008. Ruiz-Correa S, Starr JR, Lin HJ, Kapp-Simon KA, Sze RW, Ellenbogen RG,Speltz ML, Cunningham ML. : New severity indices for quantifying single-suter metopic craniosynostosis. Neurosurgery 63: 318-324, 2008. Ruiz-Correa S, Gatica-Perez D, Lin HJ, Shapiro LG, Sze RW: A Bayesian hierarchical model for classifying craniofacial malformations from CT imaging. Conference Proceedings Institute of Electrical and Electronics Engineers Engineering in Medicine and Biology Society Page: 4063-4069, 2008. Coppes OJ, Sze RW, Lawton K, McCaslin A: New program for efficientconversion of film-based teaching files to searchable Web-based teaching archive. American Journal of Roentgenology 191: 1871-1873, 2008. Veiseh M, Gabikian P, Bahrami SB, Veiseh O, Zhang M, Hackman RC, Ravanpay AC, Stroud MR, Kusuma Y, Hansen SJ, Kwok D, Monoz NM, Sze RW, Grady WM, Greenberg NM, Ellenbogen RG, Olson JM: Tumor paint: a chlorotoxn: Cy5.5 bioconjugate for intraoperative visualization of cancer foci. Cancer Research 67: 6882-6888, 2007. Sun C, Sze R, Zhang M: A folic acid-PEG conjugated superparamagnetic nanoparticles for targeted cellular uptake and detection by MRI. Journal of Biomedical Materials Research 78: 550-557, 2006. Ruiz-Correa S, Sze RW, Starr JR, Lin HT, Speltz ML, Cunningham MNL, HingAV: New scaphocephaly severity indices of sagittal craniosynostosis: a compartative study with cranial index quantifications. Cleft Palate-Craniofacial Journal 43: 211-221, 2006. Ruiz-Correa S, Shapiro LG, Meila M, Berson G, Cunningham ML, Sze RW: Symbolic Signatures for Deformable Shapes. Institute of Electrical and Electronics Engineers Engineering Transactions on Pattern Analysis and Machine Intelligence 28: 75-90, 2006. Lin HG, Ruiz-Correa S, Shapiro LG, Speltz ML, Cunningham ML, Sze RW: Predicting neuropsychological development from skull imaging. Conference Proceedings Institute of Electrical and Electronics Engineers Engineering in Medicine and Biology Society 1: 3450-3455, 2006. Hing, AV, Leblond C, Sze RW, Starr JR, Monks S, Parisi MA: A novel oculo-oto-facial dysplasia in a Native Alaskan community with autosomal recessive inheritance. American Journal of Medical Genetics 140: 804-812, 2006. Veiseh O, Sun C, Gunn J, Kohler N, Gabikian P, Lee D, Bhattarai N, Ellenbogen R, Sze RW, Hallahan A, Olson J, Zhang M: Optical and MRI multifunctional nanoprobe for targeting gliomas. Nano Letters 5: 1003-1008, 2005. Sze RW, Ghioni V, Hopper RA, King D, Hing A, Gruss JG, Ellenbogen RG,Cunningham ML: Multidetector CT imaging diagnosis of the child with posterior plagiocephaly. American Journal of Roentgenology 185: 1342-1346, 2005. Lin H1, Ruiz-Correa S, Shapiro LG, Hing A, Cunningham ML, Speltz M, Sze R.: Classifying Craniosynostosis Deformations by Skull Shape Imaging. Conf Proc IEEE Eng Med Biol Soc. 2005;6:6325-31. Perkins JA, Sidhu M, Manning SC, Ghioni V, Sze RW. Three dimensional CTangiography imaging of vascular tumors of the head and neck: Three dimensional CT angiography imaging of vascular tumors of the head and neck. International Journal of Pediatric Otorhinolaryngology 69: 319-325, 2005. Lin HJ, Ruiz-Correa S, Shapiro LG, Cunningham ML, Sze RW: A symbolic shaped-based retrieval of skull images. American Medical Informatics Association (AMIA) Annual Symposium Proceedings Page: 1030, 2005. Bookstein FL, Connor PD, Covell KD, Barr HM, Gleason CA, Sze RW,McBroom JA, Streissguth AP: Preliminary evidence that prenatal alcohol damage may be visible in averaged ultrasound images of the neonatal human corpus callosum. Alcohol. An International Biomedical Journal 36: 151-160, 2005. Bittles MA, Sidhu MK, Perkins JA, Finn L, Sze RW: Multidetector CTAngiography of Pediatric Vascular Malformations and Hemangiomas: Utility of3-Dimensional Reformatting in Differential Diagnosis. Pediatric Radiology 35: 1100-1106, 2005. Ngo A-VH, Sze RW, Parisi M, Paladin AM, Cunningham ML: Cranial suturesimulator for ultrasound diagnosis of craniosynostosis. Pediatric Radiology 34(7): 535-40, 2004. Sze RW, Parisi M, Sidhu M, Paladin AM, Ngo A, Seidel KD, Weinberger E,Ellenbogen RG, Gruss JS, Cunningham ML: Ultrasound screening of the lambdoid suture in the child with posterior plagiocephaly. Pediatric Radiology 33: 630-636, 2003. Sze RW, Ghioni V, Weinberger E, Seidel KD, Ellenbogen RG: Rapid CT technique to measure ventricular volumes in the child with suspected ventriculoperitoneal shunt failure I: validation of tec hnique with a dynamic phantom. Journal of Computer Assisted Tomography 27: 663-667, 2003. Sze RW, Paladin AM, Lee S, Cunningham ML: Hemifacial microsomia in pediatric patients: asymmetric abnormal development of the first and second branchial arches. American Journal of Roentgenology 178: 1523-1530, 2002. Sze RW, Guillerman RP, Krauter D, Evans AS: A possible new ancillary sign to to diagnose midgut volvulus: the truncated superior mesenteric artery. Journal of Ultrasound in Medicine 21: 477-480, 2002. Gold GE, Pauly JM, Leung AN, Block WF, Meyer CH, Sze RW, Macovski A,Stark P : Short echo time MR spectroscopic imaging of the lung parenchyma. Journal of Magnetic Resonance Imaging 15: 679-684, 2002. Seto ML, Lee SJ, Sze RW, Cunningham ML: Another TWIST on Baller-Gerold syndrome. American Journal of Medical Genetics 15: 323-330, 2001. Sze RW, Chan CB, Dardzinski BJ, Dunn S, Sanbe A, Schmithorst V, Robbins J, Holland SK, Strife JL: Three-dimensional MR microscopy of a transgenic mouse model of dilated cardiomyopathy. Pediatric Radiology 31(2): 55-61, Feb 2001. Sweeney EE, Vojtech JM, Sze RW, Li C, Zhu Y, Fernandes R: Engineered nanoparticles for theranostics of malignant peripheral nerve sheath tumors. Biomedical Engineering Society's Annual Meeting, Tampa, FL 2015 Notes: Oral presentation. Cerrolaza, J. Conklin, L. Sze, R. Linguraru, M.G: Value of MRE Quantification of Small Bowel Motility for Assessment and Follow up of Crohn's Disease. Radiological Society of North America (RSNA) Annual Meeting, Chicago, IL Nov-Dec 2015 Notes: Oral presentation. Monfaredi R, Wilson E, Sze R, Sharma K, Azizi B, Iordachita I, Cleary K: Shoulder-Mounted Robot for MRI-guided arthrography: Accuracy and mounting study Engineering. Medicine and Biology Society (EMBC), 37th Annual International Conference of the IEEE, Milan, Italy Aug 2015 Notes: Oral presentation. Sze RW. "Better Pediatric Radiology Operations by Design", Johns Hopkins University Interdisciplinary Updates in Pediatric Radiology. Apr, 2017. Sze RW. "Better Hospital Operations by Design", 2017 Prewitt Memorial Lecture, Children's Hospitals and Clinics of Minnesota. Apr, 2017. Sze RW. "The Future of Pediatric Radiology at CNHS and Beyond", Holy Cross Hospital Grand Rounds, Silver Spring, MD. Oct, 2016. Sze RW. "If Disney Ran Your Pediatric Radiology Department", SCORCH/SCARD, Annapolis, MD. Oct, 2016. Sze RW. "Strategies for Imaging the Moving Child", American College of Radiology (ACR), Washington, DC. May, 2016. Sze RW. "Rapid CT technique to measure ventricular volumes in the child with suspected ventriculoperitoneal shunt failure: validation with a dynamic phantom", American Society of Neuroradiology 41st Annual Meeting, Washington, D.C. Apr, 2016. Sze RW. "The Future of Pediatric Radiology at CNHS and Beyond", Holy Cross Hospital, Silver Springs, MD. Jan, 2016. Sze RW. "Business Education for Radiologists: Fellowship Training Perspective", Radiological Society of North America (RSNA), Chicago, IL. Dec, 2015. Sze RW. "Past, Present, and Future of Pediatric Radiology", International Day of Radiology Celebration Grand Rounds, Washington, DC. Nov, 2015. Sze RW. "Transcranial Doppler in the Critical Ill Child", Shenzhen Children's Hospital, Shenzhen, China. Oct, 2015. Sze RW. "Developmental Dysplasia of the Hips", Shenzhen Children's Hospital, Shenzhen, China. Oct, 2015. Sze RW. "Renal Ultrasound of Neonates and Children", Shenzhen Children's Hospital, Shenzhen, China. Oct, 2015. Sze RW. "Pediatric Musculoskeletal Ultrasound", Shenzhen Children's Hospital, Shenzhen, China. Oct, 2015.